In computing language, source code is meant to be instructions for computers, often in an executable format. But sometimes a programmer will include the source code so that other users and programmers might benefit from the information – to study it and hopefully modify the results. Where technology intersects with human biology, that’s when it gets interesting. And conveniently, that’s what today’s film review is all about. Jonathan (Jon) Kolia Favreau is an American actor, director and comedian. He’s acted in many of the films he has directed, with the exceptions of Zathura and Cowboys & Aliens. Favreau has also directed Chef, Elf, Iron Man 1 & 2, and most recently The Jungle Book remake – If you haven’t seen him acting in any of those movies you might also recognize him as Monica Geller’s boyfriend Pete from TV’s Friends. Favreau also produces movies under the banner Fairview Entertainment. He’s been in the film industry since the early 1990s, but it wasn’t until his first financial success directing Elf that Favreau really became a big name. Which is why it’s not that surprising that he was able to land the directing role for Disney’s live-action/CGI reboot of The Jungle Book. Especially after having a hand in launching the MCU. 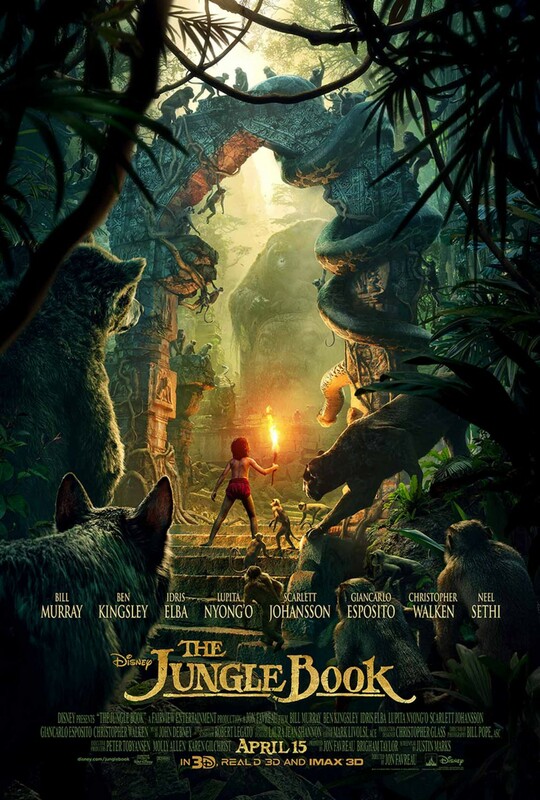 Filmed mostly with digital animation, and featuring a real-life Neel Sethi roaming around the jungle as Mowgli, this movie takes some cues from the book, but quite a number from the original animated adaptation from the 1960s. I’m not going to spend a bunch of time hashing out the story as you’ve likely already seen the original movie. I mean who hasn’t? One of the major differences is that the animations are stronger and more tied into real depictions of animals – with the exception of King Louie who is much larger than life and definitely took me out of the story, even if Christopher Walken did an excellent job voicing him. On the positive side of things, the danger is made more real and the movements of Mowgli inside this world are so fluid, that you sometimes forget it’s all made up. Pros: It manages to retain it’s humanity, while having almost no elements that exist in the real world. Exploring nature and the laws of the jungle haven’t seemed this fun in a long time. Cons: There are some moments where the story feels mechanical, and I suspect that has something to do with the absence of ties to real environments, and when you see a 30ft ape, it’s a little disappointing. Points of Interest: Kaa the snake is portrayed as a female, rather than a male, which is a first and intentional as Jon Favreau felt there were too many male characters in The Jungle Book. Reference shots of remote jungle locations in India were used to help construct the settings for the movie. I went into this movie somewhat sceptical that it could recapture the entertainment value of the original film, and when I heard “The Bare Necessities”, “Trust In Me” and “I Wanna Be Like You” I was quickly comforted, though it could have easily been the opposite. These riffs off of the original Disney movie were important to take, because the nostalgia factor remained high throughout, evening knowing how the story was going to end. This is an example of a movie where the remake is both excellent and respectful, allowing us to revisit the original or perhaps even expose new viewers to the source. This technology driven re-imagining of The Jungle Book is amazingly faithful and yet it is a distinct property which can be consumed and shared with all of it’s strengths intact. As a case study of where animation is come from and where it’s headed. Much like how life cycles through and changes with each new generation, never changing so much that it is unrecognisable, but that it is distinct and authentic. You should definitely watch this movie, it gives I Wanna Be Like You a new meaning.